Neil Clarke, Pee Wee Equipment Manager, has arranged for a donation of display boxes for all players from the 2017 Pee Wee Cougars. The display box is free and gives players the chance to show off their rings from the Tier 1 Provincial Championship. See the photo attached for an example of the display box. 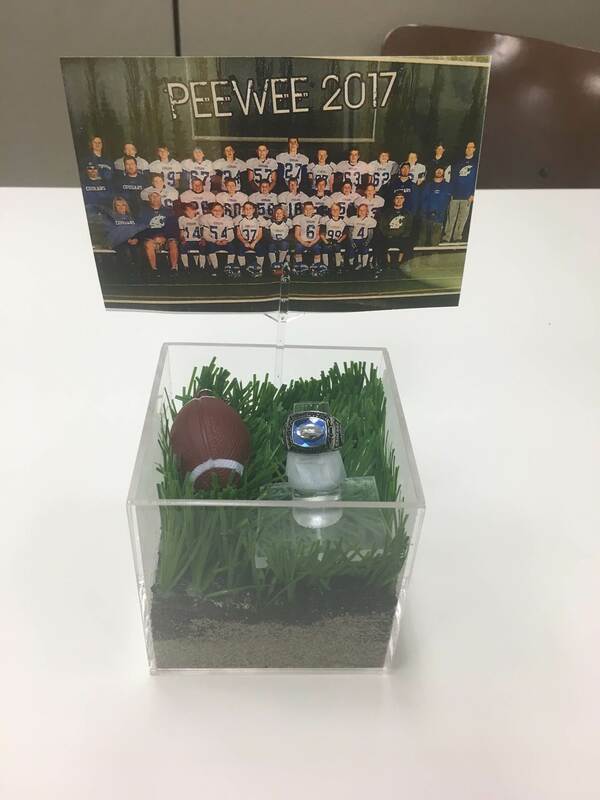 The GTR Turf Company dontated the boxes and mini footballs. Spruce Grove Flower and Gifts donated the picture stake holders. Neil donated the ring holders. The team photo, if desired, can be printed by each family on their own using card stock.